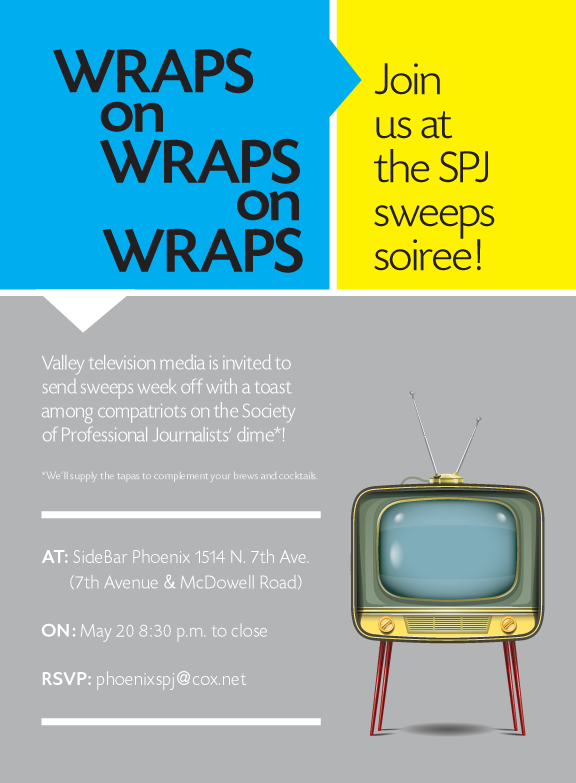 SPJ is hosting a spring sweeps party for broadcast journalists. Join us May 20 at Sidebar in downtown Phoenix. SPJ will provide the tapas, you provide the brews and cocktails and together we’ll toast the end of another successful sweeps month! This entry was posted in Events by Valley of the Sun SPJ. Bookmark the permalink.